OTC Minitune Late Model Alternator Starter Test Bench. 110 volt. Very popular, easy to operate. ALMOST NEW CONDITION. 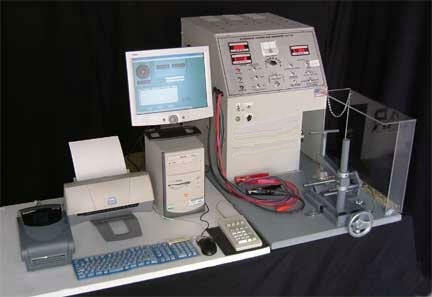 UMC Electronic Co Test, Automotive generator and starter test stand. Floor mounting. Electric motor. Maximum generator output in amps accommodated: 500.0. Horsepower rating: 22.5. Current type: AC. Voltage in volts: 220.0 and 440.0. Frequency in hertz: 60.0. Three phase. Driving motor transmission included. Two speeds. 800 to 11,000 rpm speed range. 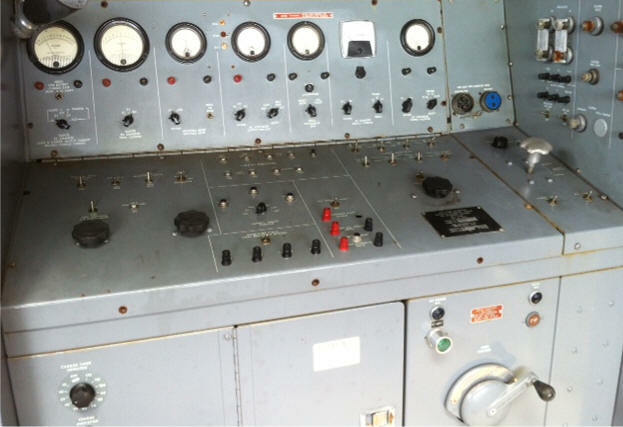 Equipped to test generator regulator. Special features: Capacity data, maximum diameter of generator and starter accommodated, A/A, 6 to 24 V range. Automotive, Generator, Alternator, Starter and Associated Equipment, part no 7458, sn:161, overall approx dimensions: l-66in w-50in h-65in. Test selector switch for starter or alternator test position. Uses a 12 volt battery (not included) continuously, recharged during alternator testing. (GM alternators above 1986 require battery for testing). Duplicates the circuitry found in an automobile. Switch activates load for testing alternator. Dual load pre-set at 40 and 80 amps. Indicator light for IC alts. Field circuit protection-10 amp. fuse breaker, push to reset. A minus and B plus field circuits. Tests all American alternators starters; tests all foreign made with additional harness leads. 10 test leads for late models alternators. 2 step pulley (3" and serpentine). Testing of 6-12-24-32 volts (optional). 5 HP, single Phase motor. 230 volt, 60 Hz motor. Dimensions: 18" wide x 2 1 " high x 24" deep. This model is designed to function in a multitude of applications from auto parts jobbers & salvage yards to vocation and instructional institutions. The K150D tests both running alternators and starters with the same accuracy and performance you would expect to find in more expensive testers. Two, 4-1/2" meters: Voltmeter, 0-18-0-36 for testing operating voltage. 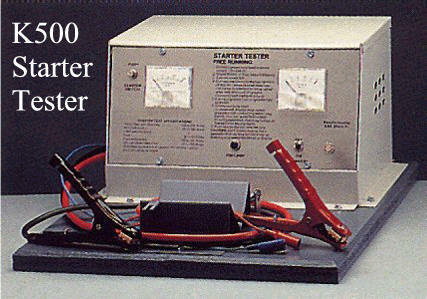 D.C. ammeter dual scale 10-0-100/120 amp for testing alternators and 30-300 amp for testing free running starters. One 3" D.C. ammeter 10-0-10 for testing field current. Heavy duty field rheostat, controls alternator and generator output. Field circuit protection-10 amp fuse breaker, push to reset. External voltmeter switch for checking alternator and regulator tabs. Heavy duty mounting vise. Enables fast mounting and removal. Three step pulley (3", 4", & serpentine) for low and high speed operation. Variable load control. High 80 amps, low 40 amps. Dimensions: 24" wide x 22-1/2" high x 32" deep. For general specifications see the 300 Series model. 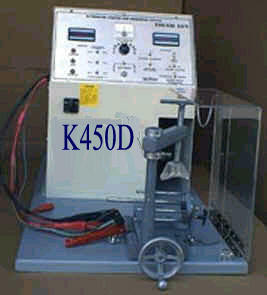 15-0-150 amp for testing alternators and 30-0-300 amp for testing free running starters. Three preset loads of 40, 80, and 120 amps. K300: Designed for medium duty testing. Tests up to 100 amp alternators with no motor load down. 3 HP single Phase motor, 3500 RPM, 230 volt AC. K351: Designed for heavy duty testing, small to large shops. 5 HP single Phase, 230 volt AC Tests alternators up to 120 amps. K351D: Same as K351 but with digital meters. 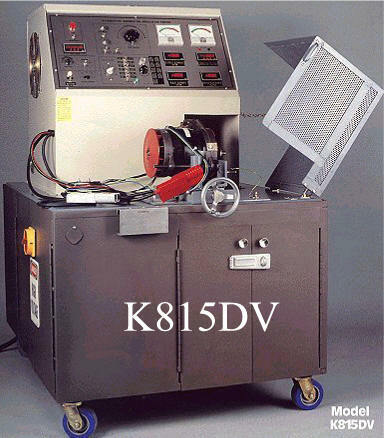 K351V: Same as K351 but with variable speed. K353: Same as K351 but with 5 HP, 5 HP, 3 Phase motor. 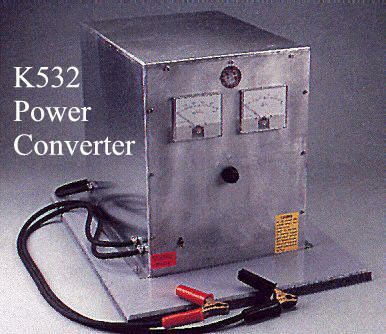 K373: Same as K350 but with 7.5 HP, 3 Phase motor. 6 preset loads, fan cooled. Dimensions: 24"W x 28"H x 48"D.
number for the test and the test results. • 7.5 HP, 230VAC 1 or 3 Ph motor. • A or B field circuit capable. • 6 preset loads, fan cooled. • 28 test leads included. • Hard drive 40 GB. • 256 MB of Ram. • Processor AMD Duron 1.2 GHz. • Shipping weight. 280 lbs. 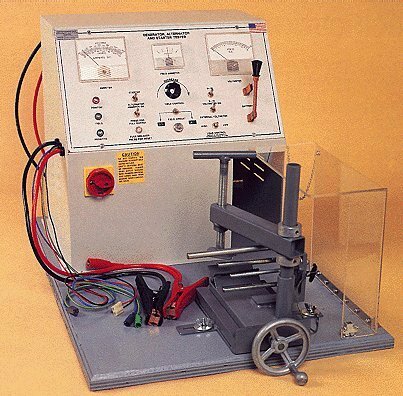 12, 24, 32 volt, heavy duty production tester for automotive and diesel starters, with or without solenoids. Requires 120/240 volt, AC current, 60 Hz. Two 3" meters: Shows voltage drop during cranking, 0-15 volts. Shows cranking current, 0-300 amps. Easy to operate vise for rapid loading and unloading of starter. 12 volt DC, 300 amp. 115 volt AC, 60 Hz. Dual 4-1/2" amp & volt meter 0-50 volts and 0-500 amps. 12-24-32 volt DC, 500 amp. *One 4-1/2" meter,0-200 amps-tests stator current. *Shipping Weight: 40 lbs. 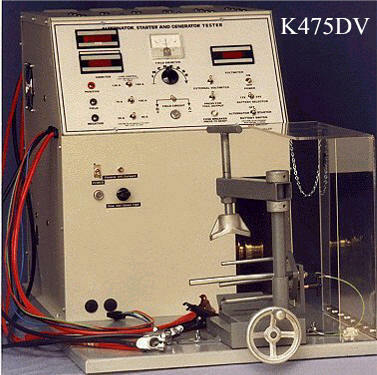 *Designed for high amperage test of Y and Delta stators to determine open, shorted or grounded conditions. Provides DC test to determine open shorts and grounded rotors. Six 4-1/2" meters: Two voltmeters, displays operating voltage, 0-50 volts & displays stator output or additional voltage reading, 0-25 volts. Two ammeters, displays operating output amperage, dual scale l0-0-150/30-0-300 & displays field current 10-0-10. One diode trio condition meter. Variable speed control from 0-6000 RPM. Changes in RPM can be made in 5 seconds. A and B field circuit. No charge indicator light for IC regulator alternator. Four fixed loads, 30-60-90-120 amps. Switch operated. Fan belt and pulley guard. Shipping weight: 350 lbs. with stand: 50 lbs. Dimensions: 39-1/2" wide x 31"
high X 48" deep; with stand: 40"
wide x 58" high x 49" deep. 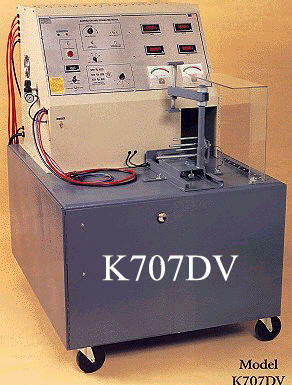 K700V: 5 HP, alternator tester, variable speed single or 3 Phase motor. 4 Digital meters; 2 voltmeters displays operating voltage & stator output additional voltage reading; 2 ammeters displays operating output amperage and field current. 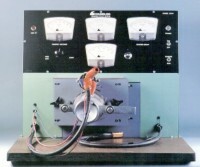 One 4 ½” diode trio condition meter. One 4 ½” ripple voltage meter. Bright red indicator light displays ON or OFF mode. Selector switch offers 12 or 24 volt operation. Field circuit protection 10 and 20 amp fuse breaker, push to reset. Motor rotation forward and reverse, switch operated. 10 fixed loads. As customer request up to 250 Amps. Switch operated. Manual vise, heavy duty to accommodate any size alternator. Heavy-duty metal cabinet with texture finishes. 30 most popular quick connects adapters. 20 Hp motor 3Ph. 208-230/460 VAC. Dimensions: 40” wide x 58” high x 49” deep. 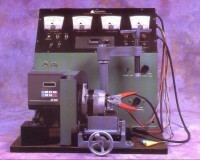 Alternator tester 20HP. Variable Speed. Motor rotation CW or CCW, is reversed trough a power inverter, from 0-6000 RPM in 7 seconds. RPM could be modified as customer request. 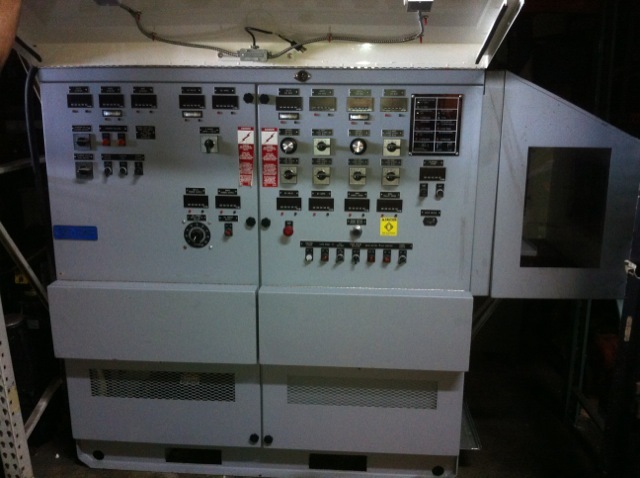 20 Hp inverter 208-230/460 VAC 3 Ph. One shows rotor draw on non-integral units. One 4-1/2" diode trio condition meter. One 4-1/2" ripple voltage meter. Tests 6, 12, 24, 30, and 32 volt units without changing batteries. Resistor bank adjustable from 0-300 amps at 12 volts with load capability of one hour minimum without overheating or deterioration (Load setting may be customized as per customer's request). Load timer 0-60 minutes with indicator On or Off lights. 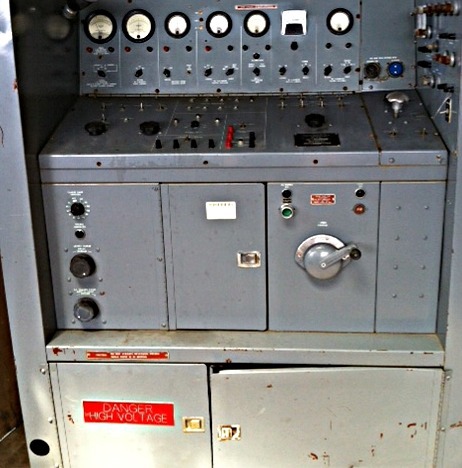 A and B field circuit switch, tests alternator / generator field system (+ or-). The Motor direction, CW or CCW, is reversed through a power inverter, from 0-6000 RPM in 6 seconds. 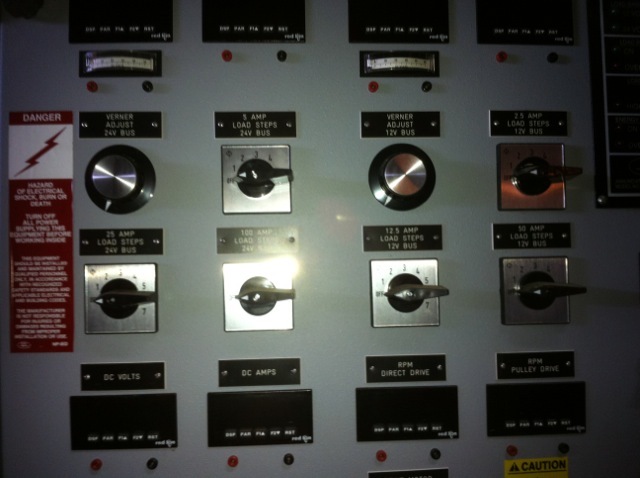 Two field current selector switches, high and low, with fuse protector 10 & 20 amps. Heavy duty field rheostat, 300 watts. Heavy duty manual vise will accommodate any type alternator. Idiot lamp for integral type alternators. Heavy duty hook up leads and clamps. All type of hook up leads for foreign and domestic alternators. 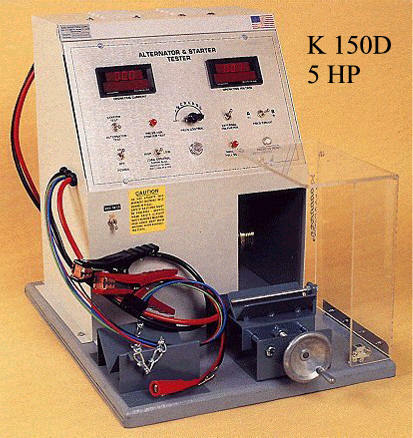 The Ultimate 15 HP Alternator Tester Very Heavy Duty. Shipping weight is 900 pounds. Optional 20 HP motor. Electronic variable speed control (inverter) with speed range controlled by potentiometer. Speed range from approximately 800 to 7,000 R.P.M. to make tests at O.E.M. recommended output speeds and low R.P.M. cut- in speeds. Crumiss exclusive "ELECTRONIC VARIABLE LOAD CONTROL" provides a uniform increase in load current while safely dissipating output current through a bank of heavy duty wire wound resistors which are fan cooled. This feature eliminates the burnout problem associated with the old fashioned carbon pile load. Diode ripple lamp shows if main diodes are shorted or open. Diode trio lamp simulates dash light operation on Delco 10SI and similar integral alternators including the late model alternators. Alternator harness for easy hook-up of foreign and domestic alternator test leads. Heavy duty D.C. power contactors. Heavy duty hook-up leads and clamps. Modular design for easy servicing. Digital tachometer, shows alternator R.P.M. adjustable to compensate for pulley size. Voltmeter external switch for testing stator voltage at ‘STA’ and ’R’ relay terminal. Alternator output leads are dead until motor is turned on, or until battery ON switch is switched to ON position. Battery ON switch for constant battery voltage, if needed. Fully copper wound class B insulated transformers coated to resist moisture penetration. Field circuit and heavy duty transformers protected by circuit breakers. Sturdy heavy duty cast iron mounting vise with alternator bracket for quick mounting and removal of alternators. 1 ¼" hold down screw securely holds down heavy duty alternators, generators and starters. Free running 12/24/32 volt no load starter test. IGN "R" lamp to indicate proper ‘R’ terminal operation on Delco starters. Four 4 ½" pivot and jewel analog meters. Volt meter 0-18/36/54 volt scale, shows alternator output voltage/integral voltage regulator controlling voltage. Ammeter 0-250/500 scale, shows output amperage. Ammeter 0-250 scale, shows battery charging amperage, i.e. amount of current going into battery and not into load. Ammeter 15-0-15 scale, shows rotor draw where applicable. Same as the #2115 model but features air operating vise with two heavy duty air cylinders, one to hold unit and one to tighten the alternator/ generator belt. Measures: 39" x 48" x 30"
440 volt and 575 volt models available. Complete assembly for testing Delco Remy 50DN oil cooled alternators. 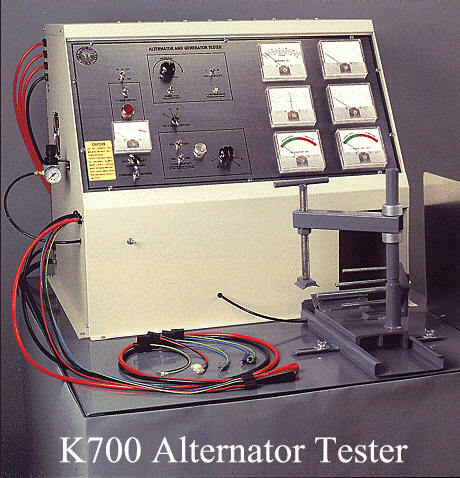 #3000 A to Z test leads for foreign & domestic alternators. #3000 alternator test lead holder. Applications and identification catalogs for import and domestic alternators. Crumbliss exclusive "ELECTRONIC VARIABLE LOAD CONTROL" provides a uniform increase in load current while safely dissipating output current through a bank of heavy duty wire wound resistors which are fan cooled. This feature eliminates the burnout problem associated with the old fashioned carbon pile load. Electronic variable speed control (inverter) with speed range controlled by potentiometer, insures quiet operation. Heavy duty motor with motor OFF/FORWARD/REVERSE switch. Same as the #2107 model, but features air operating vise with two heavy duty air cylinders, one to hold unit being tested, and one to tighten the alternator/generator belt. 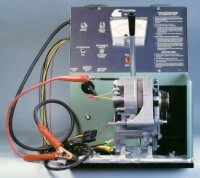 The Rebuilding Industry's Standard 5HP Alternator Tester. Electronic variable speed control (inverter) with speed range controlled by potentiometer, insures quieter motor running. Heavy-duty motor designed for electronic variable speed inverters that ensure energy efficiency and quiet operation. Off / forward / reverse motor switch. Variable electrical load control and fixed load control to simulate the entire charging range of the alternator while safely dissipating output current through a bank of heavy duty wire wound resistors which are fan cooled. This feature eliminates the burn out problem associated with the old fashioned carbon pile loads. Diode trio lamp simulates dash light operation on Delco 10SI and similar integral alternators, including the late model alternators. Alternator harness for easy hook up of foreign and domestic alternator test leads. Free running 12/24 volt no load starter test. Volt meter 0-18/36 volt scale, shows alternator output voltage/integral voltage regulator controlling voltage. Ammeter 0-250 scale, shows output amperage. Ammeter 0-200 scale, shows battery charging amperage, i.e. amount of current going into battery and not into load. Voltmeter external switch for testing stator voltage at ‘STA’ and ‘R’ relay terminal. IGN ‘R’ lamp to indicate proper ‘R’ terminal operation on Delco starters. Same as the #2105 model but features air operating vise with two heavy duty air cylinders, one to hold unit being tested and one to tighten the alternator/generator belt. Measures: 29" x 41" x 28"
Application and identification catalog for import and export alternators and starters. Single speed 5 HP alternator tester #2450-WOT. Turn on motor, momentarily press test switch, voltmeter will lock in. Flip mode switch to amperage test, ammeter will indicate amperage output. Indicator lights show alternators ripple, diodes, diode trio, stator terminal/IGN 'R' conditions. No unnecessary switches to confuse the operator. Adjustable aluminum quick mounting vise. Three range color coded pivot and jewel analog meter. Alternator output on green scale. Regulated voltage on black scale. Free run starter draw on red scale. Built-in voltage regulator in voltage test to lock in external regulated alternators. Color coded wires simplify hookup. 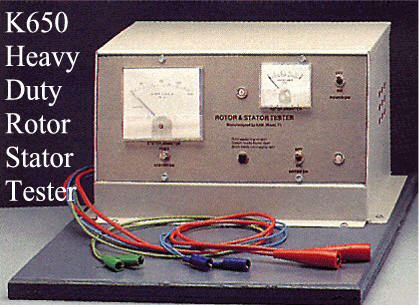 Heavy duty master switch controls alternator and starter functions of tester. Heavy duty self-contained power supply. Heavy duty #04 cables and clamps. Delco CS 121/130/144/ voltage test only. Optional: Foreign and domestic alternator test leads. Measures 15" x 22 1/2" x 18 1/2"
Five 4 1/2" analog pivot and jewel meters. Voltmeter 0-36 scale shows voltage at starter. Ammeter 0-600 scale shows starter draw. Torque meter 0-50 scale shows torque load. Voltmeter 0-3 shows solenoid voltage drop. Tachometer 0-10,000 scale shows starter R.P.M. Heavy duty industrial electric magnetic brake does away with messy hydraulics. One piece electric brake and starter housing. 1* hexagon shaft prevents slipping under load. No keyways or screws to shear off. Four drive gears to handle passenger and diesel type starters. Four quick change 1/4" mounting plates supplied (Chrysler, Ford, Delco, Diesel 40-50 MT). Test starter with or without solenoids. #01 heavy duty cables and clamps. Heavy duty D.C. power contactor. Exclusive long life contactor circuit. Solenoid 'R' terminal test circuit. Specialty plates made on request. Measures 25 1/2" x 33" x 21"
Model 1176 has a 100-12000 RPM, 30 HP variable speed drive and 600 Ampere resistive 12/24 loading. 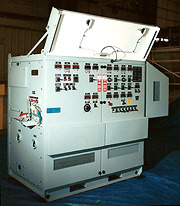 It is an improved version of NSN 4910-01-417-1870 AGRS Test Stand fielded by TACOM and National Guard units to test most air-cooled direct drive and pulley drive alternators and generators. Included are individual meters rather than a touch screen, dual voltage testing features, starter testing features and other features similar to the Model 1148A. 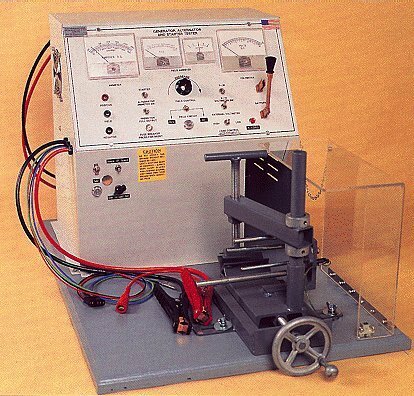 The stand does not include oil cooling features or an oscilloscope.